Another very rewarding short walk that ends at a bar. 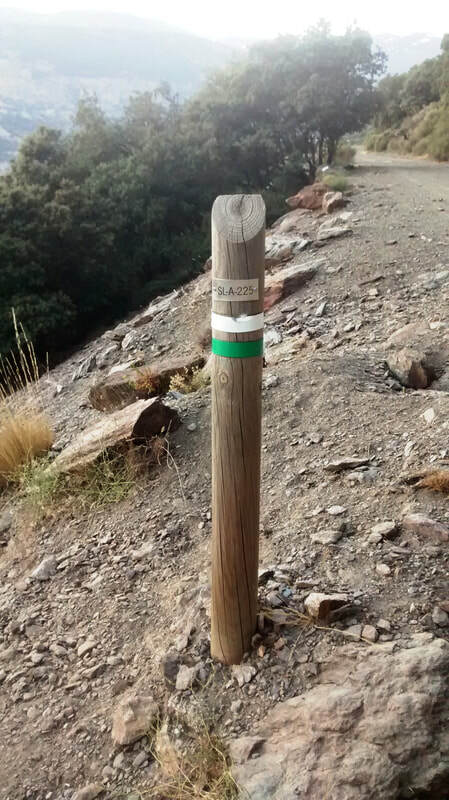 A modest hike in the Poqueira Gorge with marker posts to show the way. 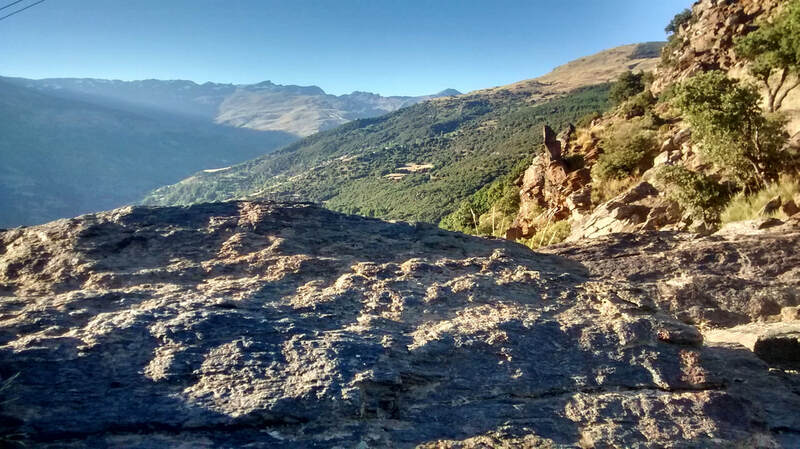 The walk starts and finishes in Bubión village, but has different routes up and down. Allow an hour up and an hour down, although it will probably take you only 50 minutes each way. On 25 July, the sun sets at 9 pm so setting off at 8 pm gives you time enough. In winter, you’ll be heading off much earlier. 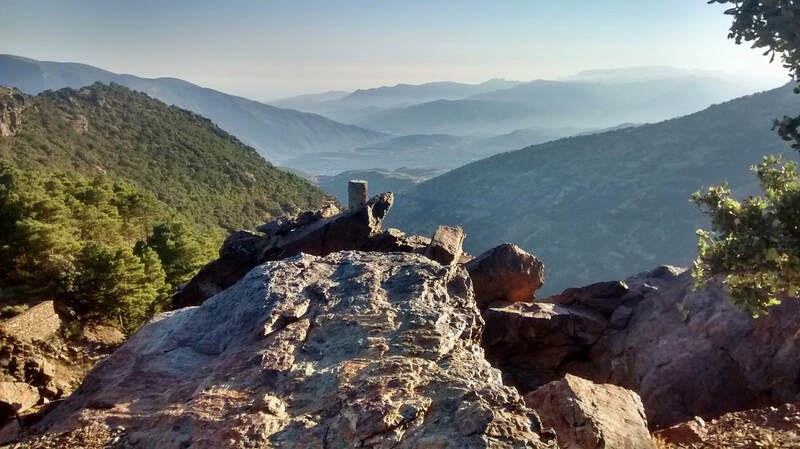 Our path represents a brief but enjoyable section of the long-distance GR-7 walking route that begins in Tarifa in southwest Spain, crosses the country into Andorra and from there to France, where it connects with the E-7 path and continues through Italy, Slovenia as far as Hungary. We’re not going that far today. 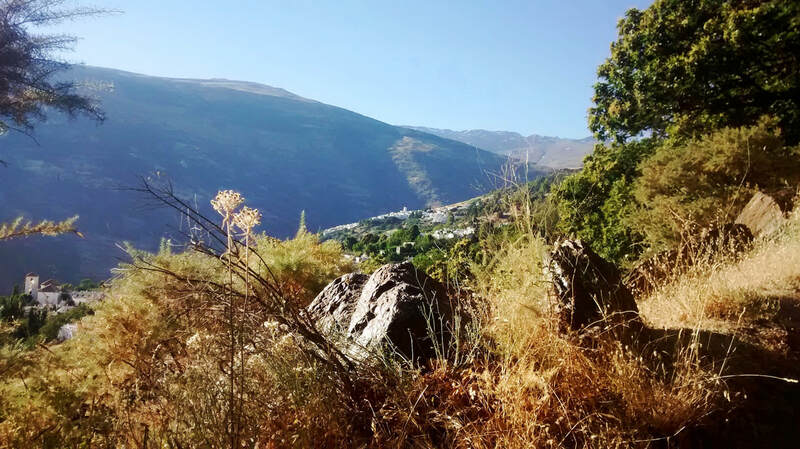 We’re heading for Peña del Angel to watch the sun set. 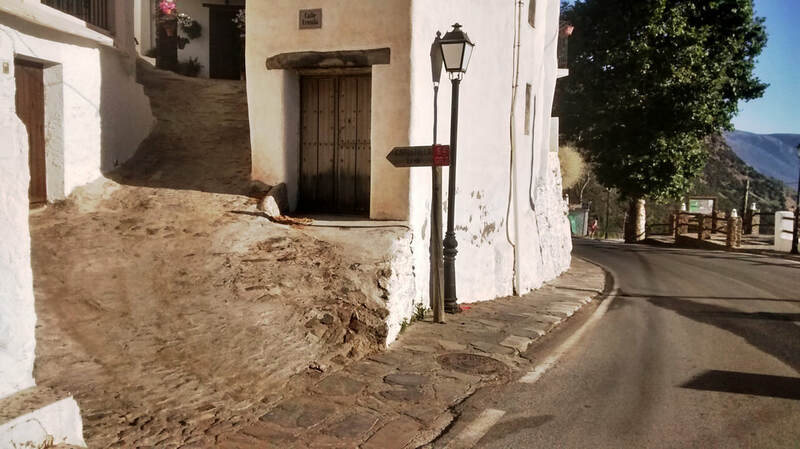 As you walk down the main road through Bubión, the last turn on the left before you leave the village is a broad steep ramp. Go up here past the electrical hardware store and turn right at the end where you see a sign for horse riding treks. Follow the arrow and you will soon find yourself on the country path. Pass by the stables and keep to the marked trail, ignoring a path that leads under an archway and any others signalled with a cross x to bar the way. 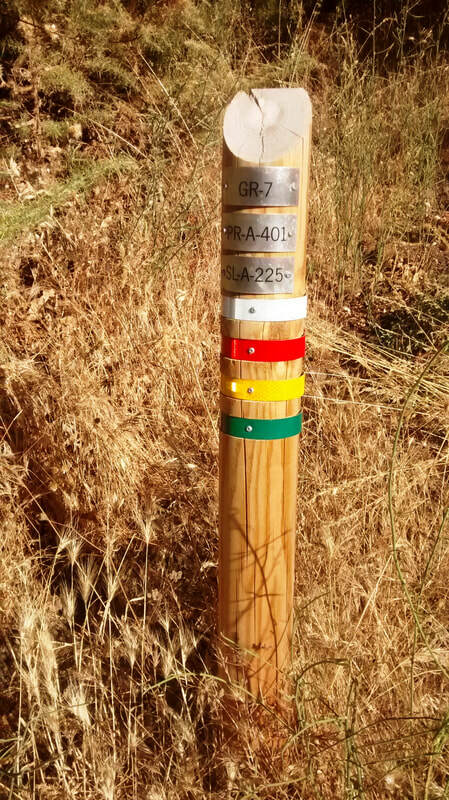 Simply follow the posts marked in multi-colours to the top. To be precise, we will follow the local SL-A-225 route indicated in green-and-white. 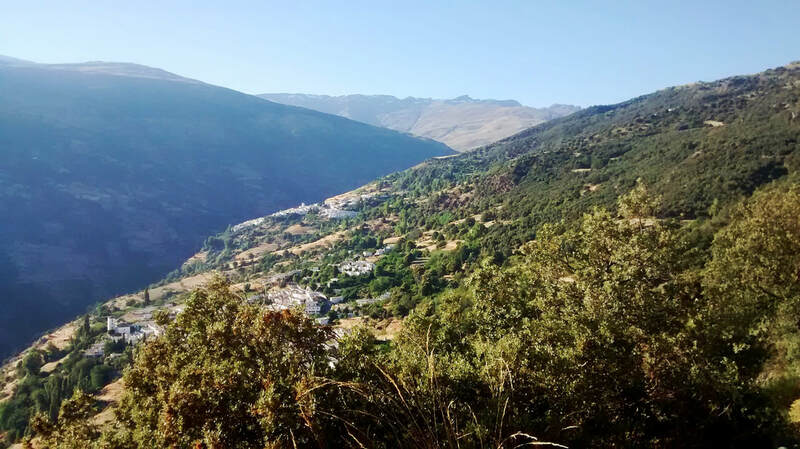 There are very enjoyable views along the way of the villages of the Poqueira Gorge and Sierra Nevada. 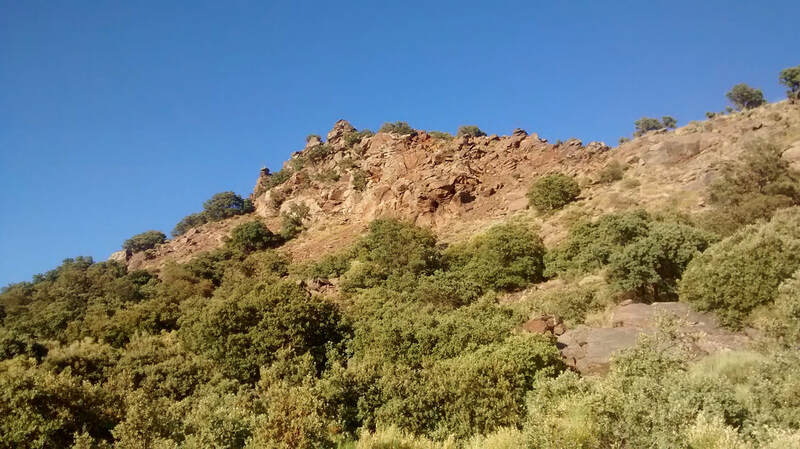 After 40 minutes or so, you will see the rock formation of Peña del Angel above you and before long you will be there. At the top there is flat rock to stand or sit on with a great panorama. 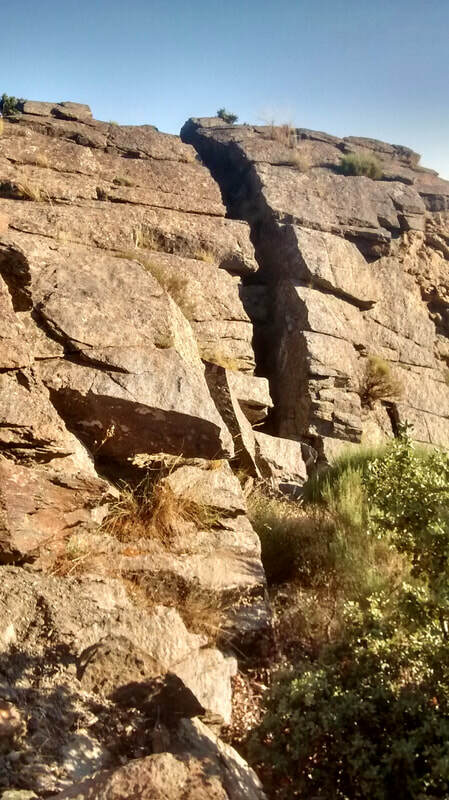 Just beware of the massive rock which has a deep fissure: don’t be tempted to jump across it! To the north you see Sierra Nevada. 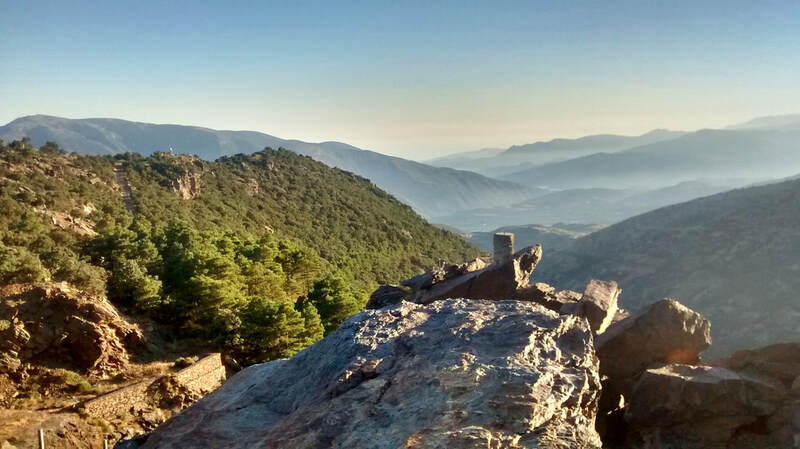 The view to the south is of the Contraviesa and the Guadalfeo valley. 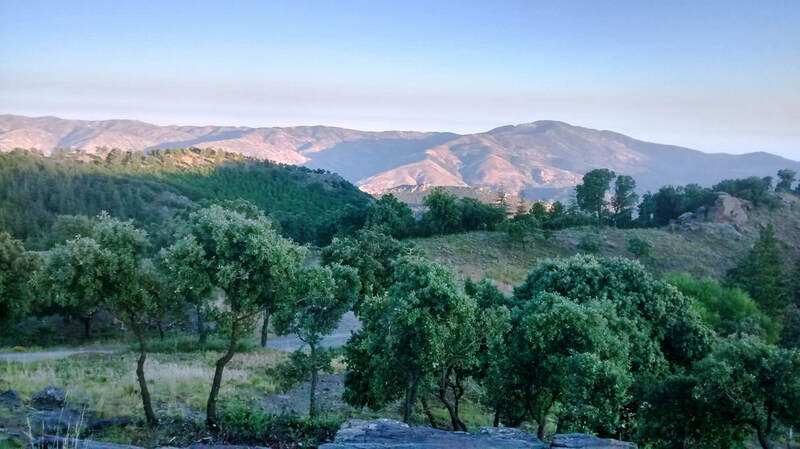 Sunset is most spectacular in winter, when the air is also less hazy, allowing a clear view of the Mediterranean Sea and the mountains of the Rif in Morocco. The qualities of light and colour change and charm as the sun goes down. 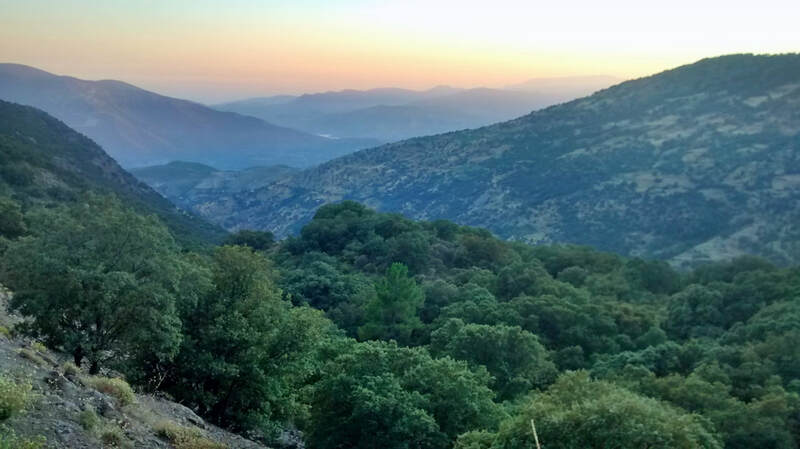 In summer, the warmth encourages you to hang around and gaze on the evergreens or watch an eagle, but don’t be too tardy: once the sun has dipped behind the ridge, it’s time to think about heading down while there is still light. From the top, go down to the broad track below and turn left. After a while on this track, you pass a section that is reinforced like a rampart. After here, look out for a post on the left marked in green-and-white for SL-A-225. Turn left down this path. As the light slowly fades, you descend through pines and scrub oak. The terrain is often loose shale underfoot so watch your step. 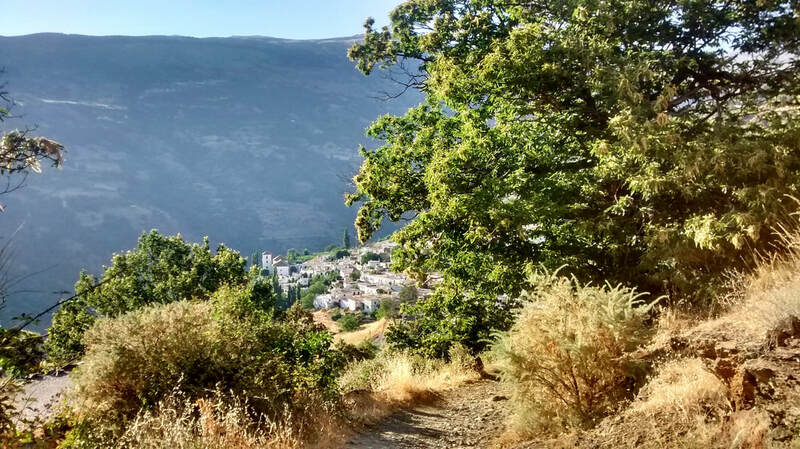 As you approach Bubión village, turn right below a modern hermitage. There used to be a nice old chapel here which was pulled down. It was rebuilt at such expense and is so ugly that we decline to publish a photo. The path emerges back on the village road at a very convenient spot, right by two Bubión bar-restaurants, both family-run. 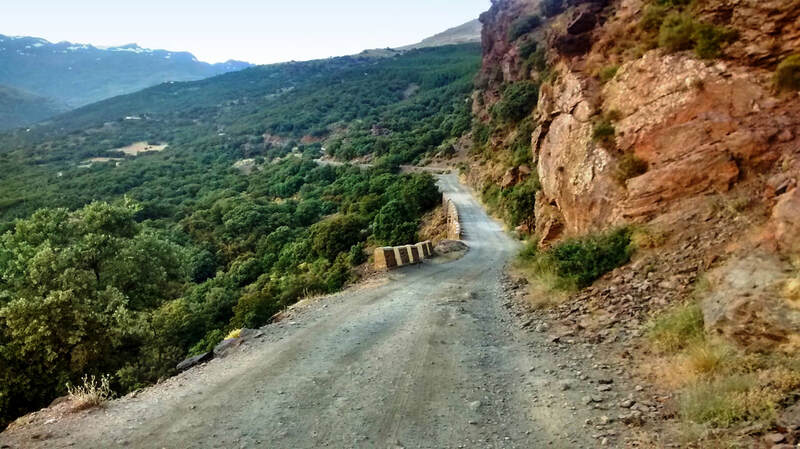 After the sunset walk, the newly opened Lo Nuestro or the larger and more established El Teide offer a second reward in the form of good food and drinks.